Harvest Time Foods, Inc. began as a home operation in 1981 in a converted carport by Bryan Grimes, Jr., his wife Anne, and their son Bryan Grimes, III (B.G. ), a student at East Carolina University. 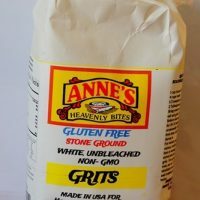 Greenville, N.C. became the first home for the company as they began marketing packaged frozen dough strips called Anne’s Pastry. This dough product is the main component in a regional dish cooked in Eastern North Carolina called chicken pastry and traditionally served for Sunday dinner. Believing this business venture was divine inspiration from God, the family began to enthusiastically market their product locally in supermarkets. In each package there was a scripture verse from the Bible, providing food for the soul as well as food for the body. Now the scripture is printed on the package. Anne’s Pastry was initially packed in a foil box, but was later changed to an over wrapped box. A new logo was designed by a graphic artist friend and fellow Christian, Marcie Dawson. The now familiar red and yellow logo is the company’s trademark. Customers were very receptive to the convenience of the packaged pastry and not having to clean their kitchens after making it by hand. The product began to sell very well in supermarkets as word of mouth became a powerful tool in getting Anne’s Pastry into kitchens all over North Carolina. It didn’t take long for letters to start arriving from other regions asking for Anne’s Pastry. It was apparent that people elsewhere ate the same product but called them chicken and dumplings, chicken stew, chicken slick, and pot pie. Finding a name for the product that would be recognizable to customers in other regions became a task. They first changed the name to Anne’s Dumplings For Chicken (Thin Pastry Strips), but as markets grew the name changed to Anne’s Flat Dumplings (Thin Pastry Strips). New recipes were developed for other uses for the products such as lasagna, casseroles, ravioli, baked crackers, fried sugared pastry, and other recipes. The Grimes family has worked steadfastly to bring to the consumer the finest products by adding state of the art production lines and cryogenic freezing. They have developed other types of dumplings for areas that do not eat the traditional flat dumplings popular in Eastern North Carolina. As the market expanded, their products were not only sold to grocery warehouses for distribution to supermarkets, but to food service distributors that sell to restaurants, hospitals, and day care centers. As consumers became more health conscious, the company began to look at developing new products to meet the growing interest in healthy eating. Adding to their dumpling line, they are now marketing Anne’s 100% Organic Flat Dumpling Strips, Anne’s 100% Whole Wheat Flat Dumpling Strips, and are currently in the development process of Anne’s Gluten Free (rice) Flat Dumpling Strips. Looking at their very popular original 16oz. Anne’s Chicken Base—which contains MSG—they decided to further that line with the addition of five new bases all in paste form that contain no MSG. 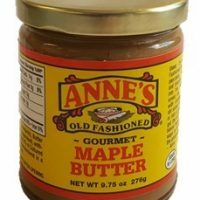 Included in this new line are Anne’s Natural Chicken Base, Anne’s Natural Beef Base, Anne’s Natural Ham Base, Anne’s Organic Chicken Base, and Anne’s Organic Vegetable Base. Harvest Time Foods has grown tremendously since the small beginnings in their carport and distribution is now in most states East of the Mississippi and some states West of it. The company outgrew the carport and two other buildings before building the current facility outside Ayden, N.C. in 1990. They added additional storage space in 1995 and additional freezer space in 1998 and 2001. The company’s owners believe that teamwork is essential to the success and growth of a business even when divine inspiration has set it into motion. Today, Harvest Time Foods is working to make all its facilities environmentally friendly through the improvement of manufacturing methods and the reduction of overall energy use. Because company management is conscious of the need for all Americans to reduce their impact on the environment, the greening of Harvest Time Foods is an ongoing process. Harvest Time Foods believes in being a community partner and has worked with numerous feeding programs. When hurricanes Dennis and Floyd came to North Carolina leaving destruction and flooding, they were there with food and helping hands. When hurricane Mitch swept across Honduras leaving many homeless, the company sent a Seatrain with 17 tons of food to a ministry there for distribution in the mountainous regions. Harvest Time Foods and our employees believe in serving our community. They frequently work on site in churches and community fundraisers, where assistance is needed, preparing Anne’s products for the less fortunate. It’s their way of giving something back and getting involved hands on. In 1992 Entrepreneur Magazine and MasterCard International presented Bryan and Anne Grimes the Southern Region L.E.A.P. Award (Leadership In Entrepreneurial Achievement and Philanthropy). The Small Business Association of North Carolina recognized the company as the 1992 Small Business for North Carolina. Subsequently, the National SBA awarded them the Region IV Small Business of the Year for 1992. Harvest Time Foods works closely with North Carolina’s Department of Agriculture. 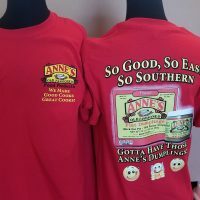 You will find Anne’s Old Fashioned Food Products represented at the Flavors of Carolina shows not only in North Carolina, but in other states as well. The Goodness Grows logo is proudly displayed on all their retail dumpling products. Anne Grimes was inducted into the Goodness Grows Hall of Fame in 1994. B.G. Grimes worked full time as general manager while attending East Carolina University. In 1987 he received his degree in accounting and business. In 1993 he married Windy Johnson from Smithfield, N.C. 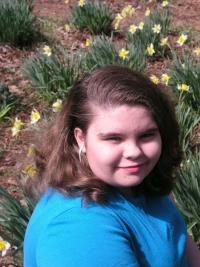 Miracle baby Elizabeth Anne Grimes (Beth Anne) was born July 13, 1995 weighing in at 2lbs. 6oz. Still a family owned business, the Grimes family’s desire is to set an example for their employees, customers, and vendors as to honesty, integrity, and good work ethics. They recognize that without God’s help and excellent employees, the above success story could not be written. What an exciting and thrilling surprise to be presented the Highest Hero Award by our Chamber of Commerce on June 2, 2009. Recognition was for the impact Harvest Time Foods had on our community and beyond. We give God praise for His guidance in our business. God continues to bless us even in these troubling times. We are so grateful to you our customers who have been using our products for years and our new customers that have just recently been introduced to our products. I meet so many of you at the consumer shows such as the Southern Women’s Shows and I enjoy sharing on the cooking stage many of my special recipes using our dumplings. And your kids— they are so much fun and some even want a picture of us together. I do enjoy showing how easy it is to fix a great pot of chicken and dumplings Even your 8 year old can master my E-Z Chicken and Dumplings recipe on the video here on the website. I know many of you are struggling with fear as the world is seemingly falling apart. We must remain steadfast in our faith. He is our refuge and strength in the time of trouble. Elizabeth Anne, our pride and joy, no longer a tiny thing, but a young lady, reminds us everyday as we see her grow that our God is a miracle Worker.